You guys ... I've got a cinnamon roll grilled cheese for you today. Yes, you heard me ... arguably two of America's favorite foods combined into one. Holy moly! This is sweet and savory at its finest. As I mentioned in my Churro Quesadillas post, I am officially addicted to food mashups. They are just too much fun to not partake. It takes getting creative in the kitchen to a whole new level. 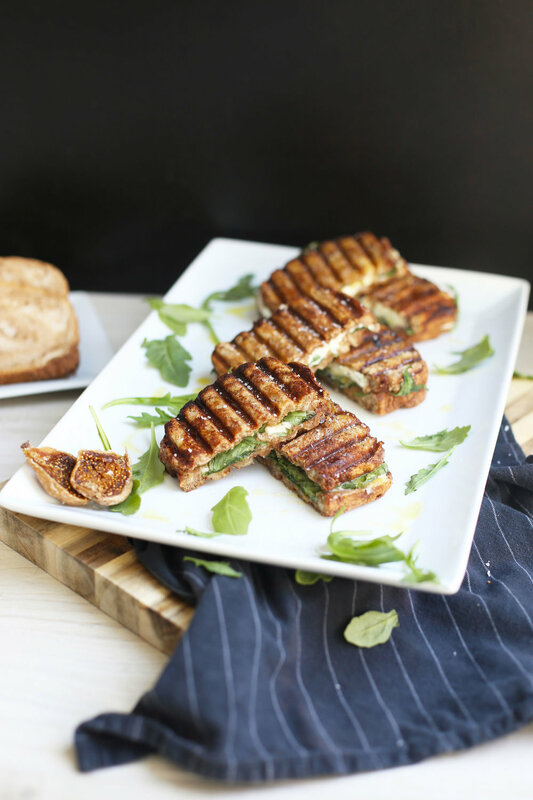 This is my latest post for KitchenAid, so hop on over to the Kitchenthusiast for the cinnamon roll grilled cheese with goat cheese + fig jam recipe + instructions. It's a total gourmet meets comfort food situation. 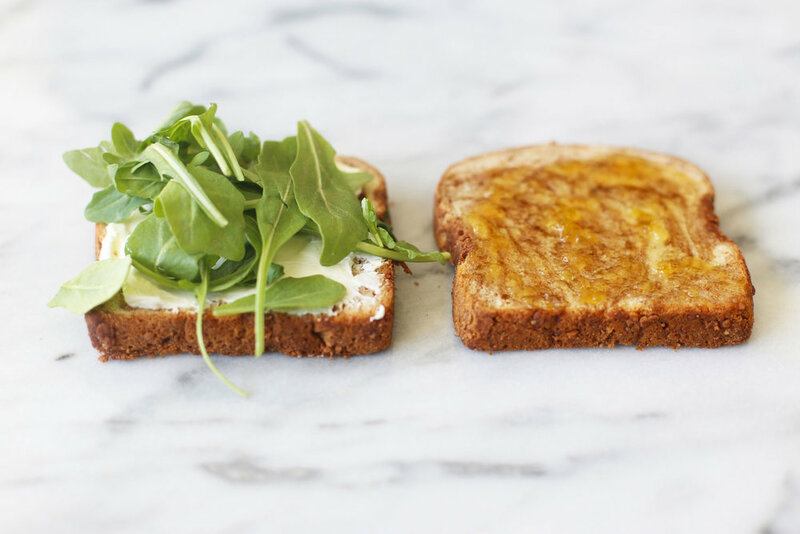 You can call it a gourmet grilled cheese because it has gourmet-y ingredients like arugula + fig jam. And you can call it comfort food because CINNAMON ROLL ... amiright?! These are so easy to make, and they are fit for a crowd. There will probably be one cinnamon roll grilled cheese after another at our house this weekend for the Notre Dame vs. Michigan State game. And figs, oh figs how I love thee. I am so happy it is fig season. Not only are these little bites of heaven so gorgeous to look at ... they are sweet without all that refined sugar. Hallelujah! Might I suggest serving a cinnamon roll grilled cheese or ten with some pizza pops and maybe some churro quesadillas for dessert. It could be a total food mashup party. This is at the top of my best grilled cheese list. The sweetness of the cinnamon roll bread and fig jam are balanced by the creaminess of the goat cheese. And the peppery arugula adds an extra zip. I finished this lil sandwich with a drizzle of olive oil and a sprinkle of sea salt. I even made a little video to get those tastebuds flowing! Hope you likes! 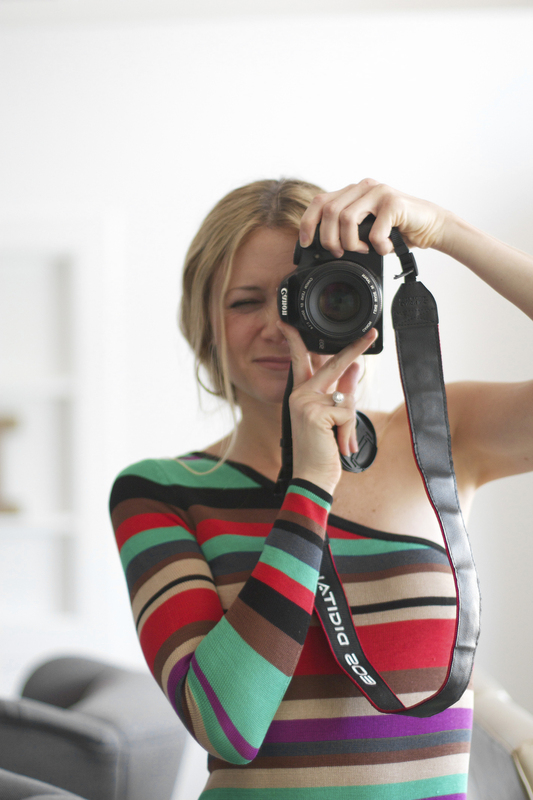 As I mentioned this is my latest post for my faves at KitchenAid. In case you are interested, here are all of my posts for KitchenAid. 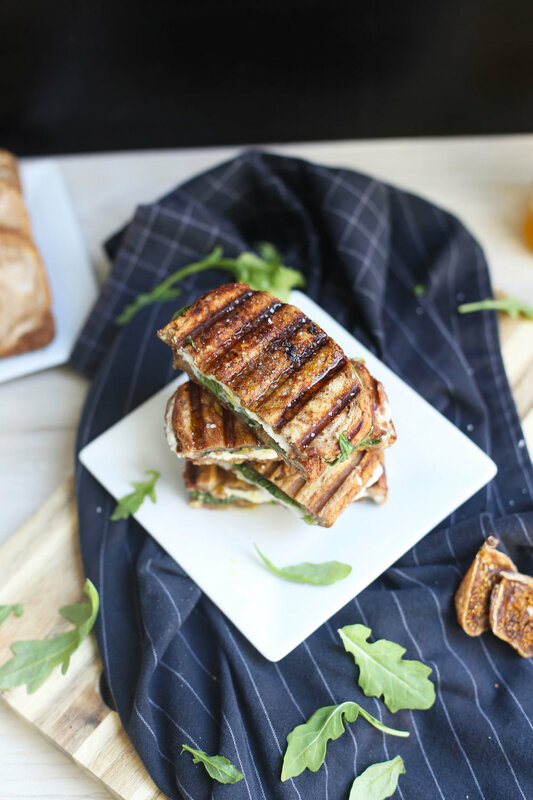 Hop on over to the Kitchenthusiast for the cinnamon roll grilled cheese with goat cheese + fig jam recipe + instructions.